To celebrate the launch of the United States Association of Cider Makers’ #PickCider campaign, all this week we’ll be highlighting some of the USACM’s most cider-erific recipes. Yesterday we shared a not-so-secret cider BBQ sauce recipe. Today it’s time for pickles to take the spotlight. You’re sure to be the hit of the party when you tote these pickles along to your next summertime event. The recipe is simple, too, so you don’t have to be a pickling pro to tackle it. This versatile recipe goes beyond the cucumber: Infuse the brine with green beans, cauliflower, zucchini or squash. These spiked pickles are a natural for a cheese and charcuterie board, but don’t stop there. Dice them up and make a cider relish for hot dogs, sausages and burgers, or throw them on the barbeque for a roasty condiment. In a pot over medium-high heat, add the vinegar, sugar, salt and peppercorns. Bring to a simmer, stirring just until the sugar and salt dissolve. Remove from heat. Stir in the hard cider. Allow the brine to sit until it cools to room temperature. 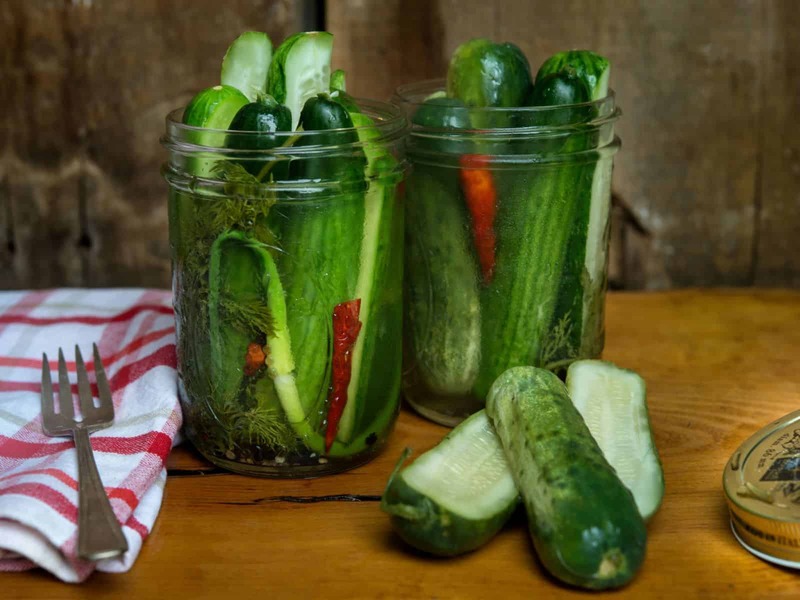 Place the cucumbers in canning jars. Add a few sprigs of dill (to taste). Pour the cooled brine over the cucumbers, making sure all slices are submerged. Chill for at least 24 hours before serving.